Working under the Pathfinders banner; the Family Referral Service (FRS) has been operating out of its Tamworth base since 2011. Since this time, FRS has assisted local families and youth in the New England North West region to gain access to the best support services available to suit their individual needs. 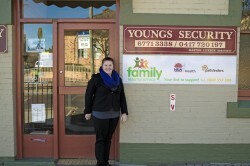 In May 2013, FRS opened the doors of its new Armidale office with the intention of assisting the youth and families in the Armidale, Guyra, Walcha, Uralla, and surrounding regions. Claire Cummings is the new Family Referral Worker in Armidale. Claire has studied and worked in nursing, aged care, and pathology for the past six years and said she is excited to be working with the families within the region. ‘I am looking forward to becoming a part of the FRS and Pathfinders team and having the opportunity to work with local families and individuals to find the best possible support options available to them’. Claire has already assisted 16 individuals and families in the first few weeks of operation and this number is expected to grow steadily as the word gets out. Claire will be working with families and individuals who have been referred to FRS via the police wellbeing unit, health and education departments and also through referrals from other local organisations. As well as this, people aged 0-18 years and families with children can self-refer. People can do this by either calling Claire on – 6771 2922 or via email – clairec@pathfinders-aus.org. Alternatively people can walk in and say Hi to Claire in the office at 161 Rusden St, Armidale NSW.